I am honored today to once again contribute to Frosting for the Cause with these Cookies for the Cure after being the guest blogger on September 11th with my Big Apple Cupcakes with NY Cheesecake Frosting. 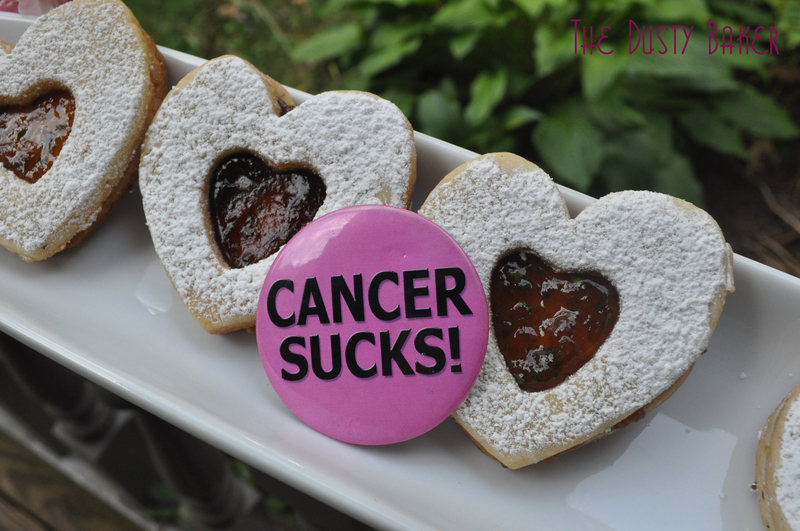 Every day of the year, a blogger from around the world shares a story about someone that has been touched by cancer – specifically a women’s cancer – bakes and shares a special recipe, brings that baked good down to a shelter, hospital or community center, and makes a monetary donation to a cancer organization. After being allowed to stretch the rules a bit and profile how cancer has affected 9/11 first responders, I was excited to step in for a second post this week and share with you this recipe and these stories today. Becky Hewitt was 30 years old, married for five years with two children, when a lump in her left breast turned out to be Stage 2 breast cancer. After a year and a half of treatment, she thought she had the cancer licked. But two weeks shy of her 1-year cancer-free anniversary, she was feeling run down. She was then diagnosed with Stage 4, terminal breast cancer. 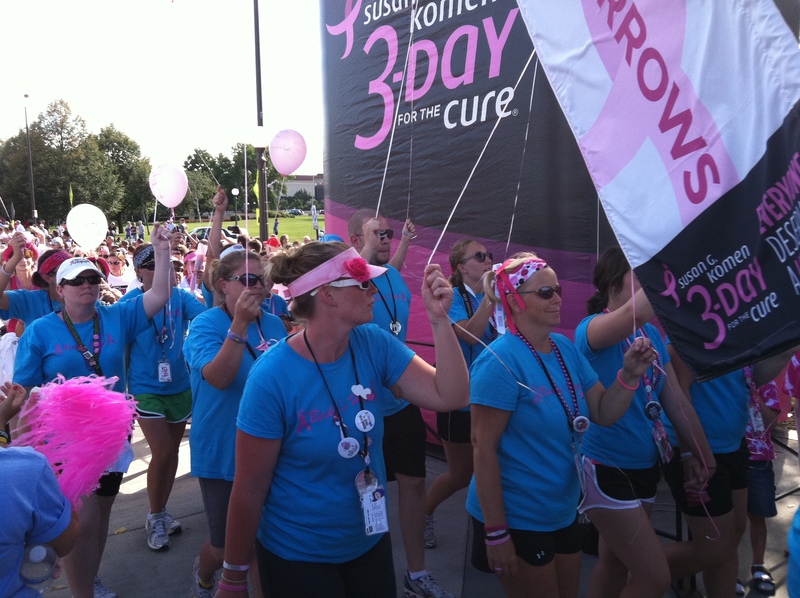 In 2008 Becky signed up for the Susan G. Komen 3-Day for the Cure, a 60 mile walk over three days that take place all over the country. Each walker raises a required minimum of $2,300 to participate. In the past 28 years there has not been a major advancement in the battle against breast cancer that wasn’t funded in some way by a Komen grant. Becky was asked to speak at the Saturday nightly ceremony in the meal tent, where thousands of walkers, crew members, volunteers and staff gather to share hot meals, discuss their walking journey, and hear the stories from others who have been so affected by breast cancer. If you have a few minutes have a good watch, maybe with a box of tissues (it was Niagara Falls over here). “I am now going through treatment and hoping every day that God gives me more time with my family. I decided to walk because I thought by walking I could take a stand against breast cancer. I thought both my children could look back and say “wow, my mom walked 60 miles to find a cure for breast cancer”. I want them to know how hard I have fought and how hard I have fought to stay alive to be with them. To see both of them grow into young women and have children of their own. I know that eventually this disease will take my life unless we find a cure. But I know when I cross that finish line on Sunday that I have done everything in my power to find a cure for breast cancer…. My name is Becky, and I am walking because I want to dance with my children at their wedding. I want to learn the fox trot and dance with my husband on our 60th wedding anniversary. I walk because when I’m 80 I want to laugh until I pee my pants. I am walking because I want my children to watch me die from old age and not to have to watch me die from breast cancer. My name is Becky and I am walking because I believe everyone deserves a lifetime”. Unfortunately Becky did lose her battle in February of 2011. She had walked in several 3-Days by that point, with so many friends and family members, as well as other breast cancer fundraising events. And in her honor this year, 24 people walked as team Becky’s Hope in the Twin Cities 3-Day for the Cure, raising over $50,000 for the cause this year and bringing Becky’s Hope’s grand total to over $170,000! I never met Becky, but my team Walking for Udders chose the Twin Cities event as our 10th walk with the Komen organization. Becky’s team was all over the walk: in the shirts that her walkers wore in her honor, in the team members who were at every cheering station with signs, noisemakers, clapping hands, treats and big smiles, encouraging all walkers along. They were delightful. And made such an impact that as they walked over the finish line together, the crew members standing by to cheer (including my two sisters) knelt down on one knee and raised one of their sneakers in the air – a salute of support and respect at these events. I was drawn to profile Becky because she is the perfect example of how a passion for life, a big heart and true friendships can inspire change and encourage people to act for the causes they believe. And, as she died too young at age 36, she is also a reminder of why we still need to work hard to erase this disease. Over the years we have walked for many people – friends, family members, family members of friends and friends of family members. And as our miles added up we saw more and more pictures of walkers who passed away between walks – some who we walked with one year to find they were not there to walk again the following year. My heart goes out to Becky, her family and her team. I’m proud to make my donation for Frosting for the Cause to her team’s next walk. 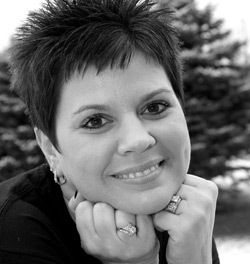 To donate to Becky’s Hope in their 2012 walk, please CLICK HERE. I want to share with you one more very special person who we lost this past year. 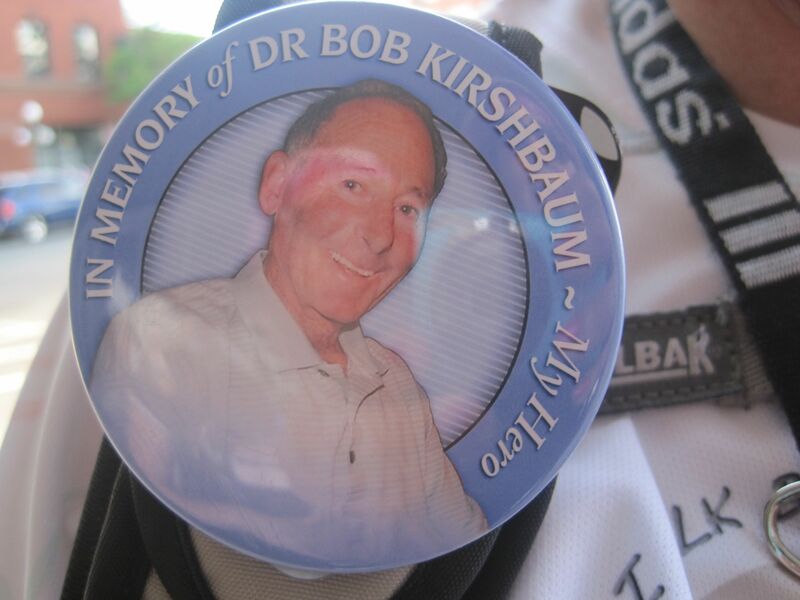 Dr. Bob Kirshbaum was Team California along with his wife, Barbara Jo. Barbara Jo is a hero in her own right – at age 73 she has walked in over 100 multi-day events for breast cancer, and raised over $1,250,000.00. I met her years ago and have seen her at so many events. And Dr. Bob. I’ve seen dozens upon dozens of these over the years, and walked several miles with Barbara Jo in different cities. So when I saw the Team California signs on our Twin Cities route this year, I immediately got excited. I looked for Dr. Bob all that first day, and well into the second, when I overheard someone talking about Bob and Barbara Jo, and asked where he was. The woman told me that Dr. Bob had died the previous May, from cancer. My heart clenched immediately. 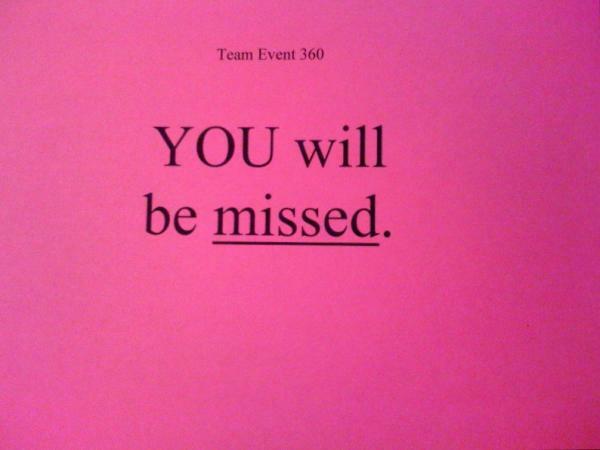 We had truly lost a warrior in the battle against breast cancer, and a true friend of the 3-Day. I finally found Barbara Jo on Day Three and walked with her a few miles. We talked about Bob, what he had meant to so many people, and how generous the Avon and Susan G. Komen organizations had been in helping all they could when Bob was ill. Barbara Jo is still walking, still raising money, and I look forward to seeing her at the Avon walk in NYC this October, and help her son-in-law put up those precious pink signs. To donate to Barbara Jo, please CLICK HERE. Our team slogan is “GOT A MAMMOGRAM?”. Raising money is so important when battling cancer, but so is raising awareness and educating. Over the years on these walks I’ve had hundreds of reminders how important monthly self-exams and yearly doctors visits are. As part of my 2011 fundraising, I promised to make a cookie for every $10 that was donated to my team. So now I have about 400 cookies to make! This is the first batch of many, and several places will get the literal cookies in thanks. But for this first one, I brought them to Women’s Health Care of New England, my local OBGYN office. The doctors and practitioners and staff there are amazing – the kind of place that makes women feel comfortable with all the bits and pieces that go into womens’ bodies and womens’ illnesses. I dropped them off with just a few words, received a few smiles, and enjoyed a huge breath in of health and happiness. 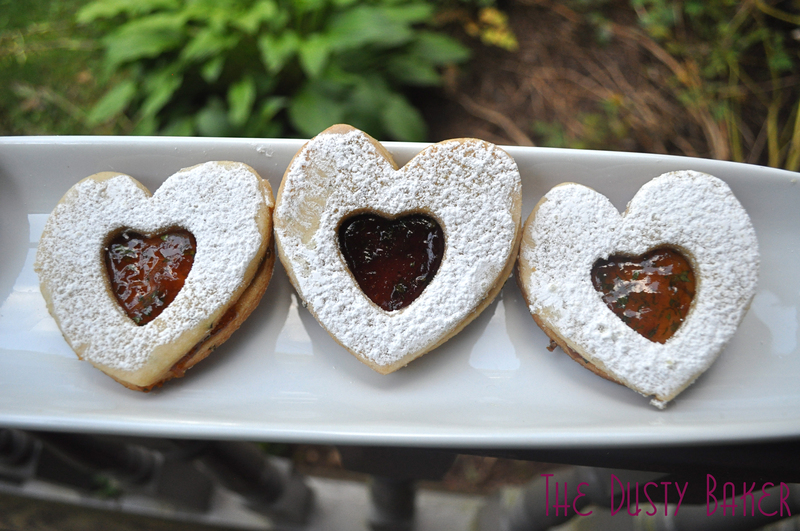 I wanted to make Linzer cookies in the shape of hearts for my first batch, inspired by some beautiful ones I had seen my friend over at Cakewalker make. So figuring, “why mess with perfection”, I doubled his recipe and prepared it with just a few modifications. 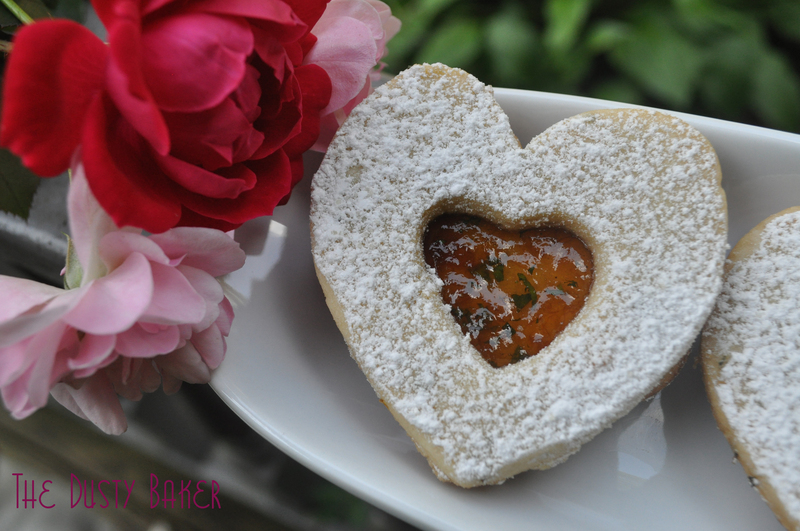 Click Here for Cakewalker’s Linzer Cookie recipe and some great photos and instructions. Mix the almond flour, white flour and 1/2 cup of sugar in a bowl – whisk to combine. In the bowl of a standing mixer with the paddle attachment, beat butter on medium speed until creamy, about 2 minutes. Add the remaining 1 1/2 cup sugar and beat until light and fluffy, about 3 minutes. Add the eggs one at a time and beat until incorporated, scraping the bowl between additions. Add the vanilla and beat to incorporate. Add the lemon zest, cinnamon, salt and rosemary, and beat on low to combine. In small additions, add the flour mixture and mix on low until combined, scraping the bowl occasionally. When combined, turn the dough onto a floured board and knead a few seconds until smooth. Divide into three pieces, shape into disks, wrap in plastic wrap, and refrigerate until at least one hour or until almost hard. When ready to bake, preheat oven to 350 degrees. If you’re not crazy confident in your baking sheets, line with parchment. Om a heavily floured surface roll the first disk out to about 1/4 – 1/8 inch thick and cut in desired shapes. Make 12 cookies. Continue to reroll and cut, cutting the second dozen with little windows. Bake for 14 minutes or until slightly browned at the edges and let cool completely, a few minutes on the sheets and then on racks. 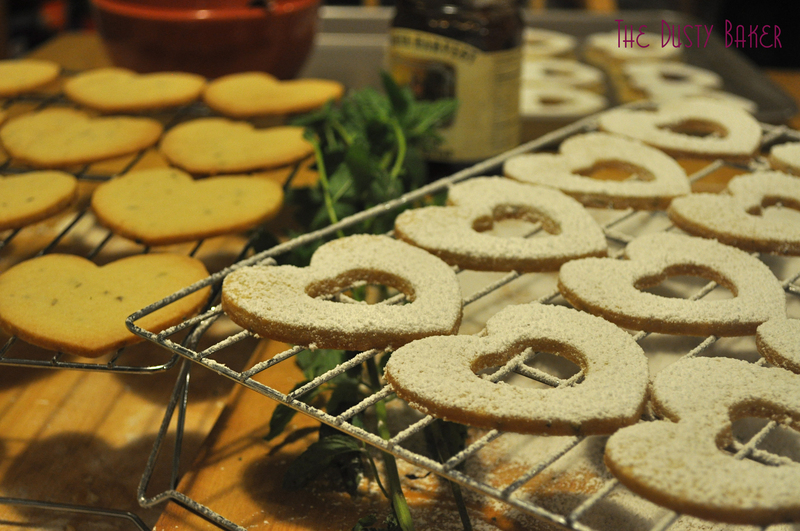 Place the top cookies on drying racks and use a sifter to sift powdered sugar on top. Mix the chopped mint with the jam, spread about a half teaspoon on the bottom cookies, and then sandwich with a cutout. These cookies will be perfect when left for a few hours or overnight so the jam has some time to absorb into the cookies and glue them together. I love using fresh herbs in cookies (see my Lavender Rosewater Shortbread and Lemon Poppy Butter Cookies, with Lemon Rosemary to come). So when I added the lemon zest to the batter I also added 2 Tbsp fresh rosemary, chopped incredibly fine. And because I happened to have almond flour/meal already (vital when obsessed with macarons), I just used 3/4 of a cup almond meal instead of toasting and grinding a cup of blanched almonds (his instructions are great if you use whole almonds though). Thanks so much to Paula at Frosting for the Cause, Cakewalker, Becky’s Hope, Team California and the Susan G. Komen for the Cure for this opportunity!